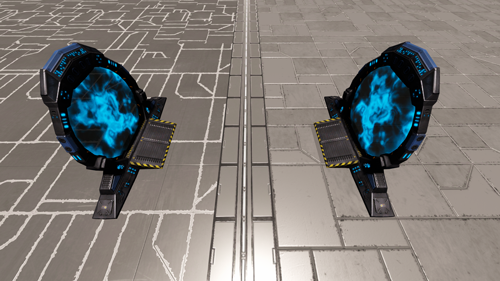 Stargates (or Portals) can be gathered by supporting us or buying proper HWS Garage ships (coming soon™). to receive your 2 Stargates. The Stargate ONLY works from your Stargate ship to your Base or from a Base to Base. You CAN’T have a Stargate from your Base to your ship (SV/CV)! Remember Stargates are for now ONLY accepted on permanent PvE playfields! I you ignore this note and place the Stargate on a Base on PvP you lost it. You can’t have Stargate bases on ECC, ECC Space, CSW or the Starter systems! Everyone can use your Stargate! I can only limit what Origin players can use it. For example only Pirates can use it. Federation and Freelancer would see a Red Stargate. Once the link is set it is NOT possible to revert / change this anymore. Choose wisely. HWS Support Package Rework Final Part | Thanks to every single "permanent" Supporter!